It might seem crazy to start thinking about a vegetable garden in January. It's cold outside! But believe it or not, now is the perfect time to begin preparing for a successful autumn harvest. Over the next month, we'll plan our seed order. By the end of February, our seeds will be started indoors. All of this leads to those exciting days at the end of April when we can move our plants to the vegetable garden! Kris and I own about two-thirds of an acre in Portland, Oregon. Since moving into this house in June 2004, we've been gradually building a garden of fruit, berries, and vegetables. In 2008, we conducted a year-long experiment. We tracked our garden expenses (in money and time) and also noted our “profit” from the harvest. We spent $318.43 and 60 hours working in our garden during 2008. We harvested $606.97 worth of produce, including $225.74 in berries, $294.59 in vegetables, and $66.63 in fruit. For every dollar we spent on the garden, we harvested $1.91 worth of food. We hope to improve on that significantly in 2009. Last week Kris wrote about the winners and losers from our garden last year. Today I'm sharing seven lessons we've learned after many years of gardening. Plan your garden today to ensure summer success. Decide what you'd like to grow. How much space can you devote to the project? How much time are you willing to spend? Answering these questions will help you to determine your priorities. Others might consider building a raised bed to use for square-foot gardening. Kris and I did this at our first house and met with great success. Square-foot gardening allows you to maximize food production in a minimum of space. When planning your garden, it's better to start too small than to start too large. Please read that sentence again. In order to enjoy your garden, you must be able to control it. Don't get too ambitious. In 1993, our first year of gardening, Kris planted too many tomatoes (25?) and I planted an insane number of chili peppers (100?). By mid-summer we were overwhelmed. We gave up. It's better to start small and to expand a little every year. Some plants are more productive than others. For us, corn is a disinterested producer. It will grow, yes, and it tastes very good. But we just don't have the space it needs to become prodigious. (I still have fond recollections of my grandfather's forest of corn. His magic ingredient? Cow poop — and lots of it!) We spent about $9 on corn last year — and harvested about $9 worth of the stuff. Not worth the effort. On the other hand, berries love our yard, and they require little money or time. We spent maybe $5 on berry-related supplies in 2008. In return we harvested $225 worth of fruit. That, my friends, is a bargain. If you want a rewarding, productive garden, do some research to find out what grows well in your area. In the U.S., one excellent resource is your state's extension office. Here's the Oregon State Extension Service gardening site, for example. We've decided to forego the corn in 2009, but are looking to expand our berries and fruit trees. Corn is cheap at the grocery store, and the berries are less expensive (and better tasting!) at home. When you buy a packet of seeds, you generally receive more than you need. We've found that it's fun (and frugal) to split the costs with others. Kris is upstairs at this very moment e-mailing our gardening buddies, negotiating who will share seeds with whom. We also share equipment with the neighbors. Mike and Paul might borrow our rototiller, for example. We might borrow John's trailer. Kurt has a backhoe (which we've used, actually). Careful borrowing and lending helps keep everybody's costs down. Journey to Forever: Building a square-foot garden This is an excellent tutorial! The year-long GRS project: How much does a garden really save? Pick a favorite fruit or vegetable, plant a few seeds, and have fun watching them grow to maturity. Make it a family thing. Kris and I will be here, too. We plan to continue our garden project in 2009, providing monthly updates of the time and money we spend, and the “profits” we reap from the harvest. Stay tuned to see how we do! There are 79 reader responses to "7 Tips for Starting Your Own Vegetable Garden". Thanks for the post! I never plan for gardening far enough in advance, so it’s helpful to have the timeline + tips laid out in one post. Definitely agree on starting small and building up each year, and on looking to maximize the bang for your effort/buck. It’s better to think that more could have been done than to get discouraged and give up for good. Do you grow produce into fall and winter? Some of the hearty greens like kale and Swiss chard can last into cold weather, don’t take up too much room, and can be rotated through the same plot of land in 1-2 month cycles. Also, do you rotate crops at all? I’d love to hear about that. I was wondering if when you figured your time, did you also figure this time in planning/writing emails to friends in order to trade seeds and/or borrow tools, transport, etc. For me, corn was a better deal because it is so expensive to buy here (Poland) compared to other things which we can buy in season dirt cheap. I’ve lost my tomato crop every time I’ve planted them due to some fungus that seems to exist here but last year I tried cherry tomatoes in some flower pots and that worked at least moderately well. 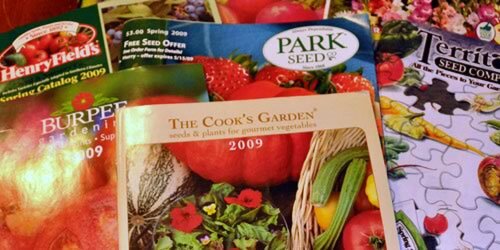 Many garden centers have seed sales during the month of February. Plan your garden now, buy the seeds next month. We buy more common seeds locally and the harder to find or specialty varieties by catalog. I just wrote up a big long post about my garden plan, and I just ordered my seeds and plants. My goal is to grow 100 pounds of veggies this year. This is only the second year for our garden, and now that we know the land better (our 1/2 acre plot, in a city), we are putting in berry bushes and fruit trees. It’s very fulfilling. “Buy quality tools” is probably my #1 tip for anybody who wants to do ANY kind of project. If you always have the right tools for the job, your job will be orders of magnitude easier. If you’ve ever rushed into fixing something around the house, or putting together unassembled furniture, you know that much of the time spent on the job is hunting down the tools with which to do it. On top of that, there’s always the chance that you try to use the “wrong” tool and either break the tool or break the thing you are trying to build/fix. Another great gardening book is ‘Growing Plants for Free’ by Geoff Bryant – it is not only food plants but flowers etc – it has details on the best time and method for propogating a gazillion types of plants – I’ve found it very useful! Agree 100% with your tips. Have worked on and off for around 10 yrs. in greenhouse businesses. Raising plants from your own seed will get you better plants. I like Pinetree Garden Seeds catalog for small seed amounts for small prices. You will learn the perfect looking vegies in the stores isn’t the best tasting. You can make good money with selling plants and produce, but you need a business person to make a profit. My bosses worked with us because they enjoyed it, but we the workers produced and they focused on selling. My number one tip, know WHEN TO PLANT WHAT! In Arizona, we’re at the height of our planting season! I remember the year before I finally became a successful gardener I planted spinach seeds in April. They germinated and grew to be about as big as my pinky finger’s thumbnail and died. That’s because it had already gotten far too hot to survive. During the summer, I found a book on square foot gardening that helped me finally learned I didn’t have a black thumb after all, I’d just been planting things at the wrong time of the year! And my favorite seed catalog, the only one I ever order from is Pinetree http://www.superseeds.com. Still the least expensive and I love their Pinetree lettuce mix seeds. I always plant radishes as they are so rewarding – they germinate quickly and are ready to harvest within a month. My tomato and eggplant seeds arrived yesterday, now I have to get them planted in my cat-proof indoor growing cage! This method works wonders to reduce pests and diseases. Your local Ag Extension service probably has good resources as well. Thanks for all these great tips! I was thinking about the idea of starting a container garden, so this post came at the perfect time for me. Thanks! Thanks again for your endless inspiration. I wanted to see the link, “winners and losers from our garden”, but it didn’t work. Just an FYI. Since you’re a gardener, this may be old news to you though. I had no idea. As an apartment dweller, I’ve never had my own garden, but I love reading about them on this site and in books. Thanks, J.D.! I would definitely agree with starting small. A few tomtatoes in pots will spark that green thumb for sure. I also agree with ms about using heirloom seeds. When you save your own seends you also greatly reduce the costs of gardening. I figure with the seeds I save from my veggies & flowers this summer I should save an additional $40-$50 in seed buying expenses. Eventually I’m hoping to be saving almost 100% of my seeds. I would plant a garden, but right now we have a little bit of a mole problem. Probably a good idea to get rid of those rodents before putting a free meal in the ground. Me and the BF are thinking of starting a veggie/fruit garden in his yard this year. we both love growing stuff and hopefully will loe saving money :) I live in an apt so I’m trying to locate a mini dwarf lemon tree and a few other mini fruit trees…sounds crazy but I heard they grow full size fruit and are the size of a small potted plant! Thanks! This couldn’t be better timing… my hubby and I are trying to decide between planting a small garden at our new house or join a local CSA. Great post! Just FYI your blog does not load completely for me in IE…could be a personal problem but thought I would let you know just in case others are having the same issue. I had to switch to viewing in Firefox to be able to comment. I always recommend for complete newbies to plan on replacing one or two things they buy consistently in stores…so maybe for year one just planting tomatoes and strawberries and seeing how they manage. This gives them an easy introduction and they get immediate benefits and cost savings. This is SO helpful! We started a “baby garden” last year (tomatoes only, just to see if we could grow something without killing it). It was a huge success and we want to grow much more this year. I bought the gardening in the Willamette Valley book but have been put off by the condescending tone (i.e., if you’re not going to be harvesting 12 months a year, you’re wasting your efforts and not really gardening, you’re a schmuck if you can and freeze your harvest, etc.). So constructive advice is GREATLY appreciated! Thanks for this post. It is a big goal for us this year to start a small garden in our courtyard. Thanks for the quick guide to getting started. Sorry, the title of the book (which was sitting next to me the whole time, d’oh) is Growing Vegetables West of the Cascades. * I really love The Bountiful Container. It’s a great tutorial for those that don’t know anything (I didn’t, when I read it). The worst part about it is trying to hold on to it, because my friends are always borrowing it. * It takes very little space to grow things. All you need is one sunny window, or a tiny balcony. It’ll take a little bit of experimentation to figure out what your space is good for, though. * If it’s your first time doing any gardening, and you don’t have a lot of room, it’ll probably cost you money in the short term. Seeds are cheap, but tools, pots, fertilizer, etc. add up. It’s actually not *that* great of a cost saving measure for those of us in apartments, but I still think it’s a good idea. The quality of the herbs and produce you get will generally be higher than the supermarket (whose products are grown for size and quantity first), and you can definitely make money in the long term. Plus, it’s fun! One thing I learned is that sometimes it takes a couple of years for a plant to really start producing so still care for it even if you think it’s a dud…we planted grapes here in Central PA and we ordered white seedless. Turns out this was purple with seeds and for a whole year this thing struggled and didn’t seem to go anywhere. Two summers later, the vine runs thick along a 600 foot fence and we’re up to our necks in plump grapes, huge huge buckets full…we made so much jelly and syrup, we ended up giving a lot away for Christmas tokens (I’m allergic to peanuts so our jelly intake is a little limited). great info. thanks! pumpkins are definitely not recommended unless you have a lot of room. made that mistake last year…those things took over the entire yard! I’m planning my garden too! You might also check out the Seed Savers Exchange if you have some seeds to share. nice tips. apart from the $$ saving aspect, for me the best part is the relaxation of watching life grow on my window sill. I live in condos so having an outdoor garden isn’t possible but that does not step me from having fresh herbs when cooking. Its a little bit of zen in an otherwise hectic 20hr day. I got The Thrifty Gardener by Alys Fowler for Christmas and found it very inspiring. Obviously there’s lots of stuff about cultivating a frugal attitude but she’s also really good on when not to skimp and on explaining WHY you do things. It filled me with confidence and I’m going to be trying growing from seed for the first time this year. I’d never heard of Seed Savers before, but Kris and her gardening buddies have been e-mailing about them this weekend. Sounds like a keen idea. I bought seeds from a single catalog last year and now I have received catalogs from no fewer than five different companies. I swear the only thing my garden produced is a bounty crop of seed catalogs! You’ve inspired me to start a small garden for the next spring. I was always curious about gardening. Plus with the rising costs of produce it makes sense that you can save big. I wrote an entry on my blog about the benefits of growing hops (the primary bittering ingredient in beer) as well, even for those who don’t brew their own beer. Sometimes buying cheap tools can’t be helped, like when you buy a new house and suddenly have a garden on top of all those other expenses. But when you buy a lot of cheap tools, they don’t all fall apart at the same time (unless you are really unlucky) so replacing them with better quality tools can be spread out a bit. If you can get GOOD used tools at a yard sale, all the better. BEST is when you can borrow some until you can afford to buy the good kind. I plant my tomato seeds in January, because that’s what gets me through the gloomiest month. Great post. I would also add “The Postage Stamp Garden” to your book list. It is my FAVORITE! Square foot gardening has worked well for my wife and I. We live in Phoenix and can grow veggies all year round, so the ROI is great (and so is the produce). I encourage anyone interested in starting a garden to get a copy of Square-Foot Gardening by Mel Bartholomew. He addresses many of the issues that put people off of gardening: the time and waste factor. Using his method, we have a 4’x4′ planter box and grow tomatoes, peas, spinach, lettuce, green beans, and peppers with very little time invested. Just water it as needed and pick stuff when it grows. Getting the seasons right here is the biggest hitch. We had fire roasted tomatoes — on the vine this last summer, if you know what I mean. You know, something I did not see you consider in your financial considerations is quality of the produce. Unless you used inferior/run of the mill species/breeds of plants, your crop would have tasted multiple times better than what you can get in a regular grocery store or even a farmers market. Although farmers market produce would probably be better than the grocery store stock, considering that most farmers markets supply mass produce species, you should not have a difficult time producing a far superior quality product by selecting quality species. In many instances, you really should compare the pricing based on quality, not only on whether the same general name applies, i.e., the genetically manipulated tomato that you can buy at the farmers market is not the same as the heirloom tomato plants you can grow for yourself. In essence, it is a quality consideration. You improve the quality of life by adding quality and diverse foods in place of bland or homogenous foods so widely available. Quality, diversity, and unique interest that expands one’s understanding are externalities that should not be discounted or disregarded as they so often are. I’m so amazed that you kept such good record of what you spent and how much time you took caring for your garden! I don’t think we could ever be so diligent, but I wish we could see exactly what we spent/saved. Another tip to think about besides planting productive plants, is to plant things that are normally very expensive at the store. We grow a lot of golden beets and bell peppers because they are so expensive. We also have two peach trees and a nectarine tree because buying those organically can be really expensive. Growing those things ourselves saves us a bundle. Combine that with canning and pickling, we must certainly net out ahead. Also, most seeds keep for years if you keep them in the right environment so you don’t always have to keep buying seeds every year. I think this might be the first year we don’t buy any seeds…famous last words though! When we moved into our house last year, it was already mid-august and too late to start on gardening. Not too late to start a compost pile, however! When it comes time to plant hopefully we’ll have some decent, usable compost. If not, maybe next year for that. At any rate, my wife and I fully intend to start gardening this spring for the first time. We’ve got some seeds already (a gift from mom-in-law), and a grapevine and red currant bush were already on the property when we moved in. The vine was overgrown along the fence last year and was producing Concord grapes no larger than the currants. Hopefully the massive, overdue pruning we gave it will lead to better grapes this year. I’ve ordered a lot of heirloom seeds from rareseeds.com (aka Baker Creek Heirloom Seeds) and they have an amazing selection of seeds: Cherokee Purple tomatoes, white habanero peppers, golden strawberries, jelly melons (aka African Horned Cucumber). Question: How on earth do you keep your cats from eating the seedlings that you start indoors? I tried it once and as soon as the seedlings started to sprout, the cats ATE them! “The Bountiful Container” is one of my favorite gardening books too. I do all of my vegetables in containers — tomatoes, peppers, zucchini, lettuces, snow peas, beans, potatoes — as well as figs, quince, and currants, and of course herbs. It’s by necessity, since none of the “dirt” areas of my yard get enough sun, but the results have been great. We’re lucky here in Greece that things seem to grow well all year round, as long as they get watered through the summer that is. We’re planning to start a food garden, but my concern is that things seems to grow so well here (and so big) that we could find ourselves overwhelmed with produce if we plant more than a small amount, so the tip by Naturemom (#18) to choose what we consume most of is helpful. Buying seedlings is likely to make more sense than raising from seed, so we can stagger the crop. Although I’d guess this will increase the cost a little. Any comments on how easy it is to grow fruit trees in containers? We are in rented accomodation and I don’t want to invest in something that we can’t eventually take with us. Totally Tomatoes is owned by the Jung Seed Company. Jung also has purchases several other seed companies over the past few years which is why you might feel your name was “sold” to other companies. You are most likely just getting the catalogs of all of their subcompanies. The Jung Seed Company is located in a very small town in the middle of Wisconsin and are a great employer. Several of my family members that still live in the area (grandparents moved there in the 80’s) have worked there over the years. It’s definitely NOT worth your time trying to grow an apple tree from a seed. Apple trees from Jung for example are already 3-4′ tall and ready to produce apples in 3-5 years. They cost around $20 each and come with a gurantee. You can mail order them right to your door. You’ll spend well over 10 years trying to grow your own trees. If you are really set on that, you don’t want to just save random apple seeds from apples you bought in the store. Certain apple trees will only grow in certain climates. The apples you for example purchased in Milwaukee, WI might have been grown in Argentina. Those apple trees will not withstand the cold winters and will die as soon as you transplant them outside. Same if you try to plant trees from Wisconsin in Arizona. The Wisconsin trees won’t handle the hot temps. You will want to get seeds from apples grown locally. Great article! My father has always gardened and it’s something that I have always wanted to learn. Additionally, I just did my second juice fast and it would be really cool to juice from my own garden! I have a small garden I’ve planted for the last few years. In Hawaii we can get a couple of growing seasons so its a year round activity. I’ve found that its a very cheap way for me to relax, so the time I’ve put in pays off even if there’s no produce. Its not for everyone though, so if you don’t enjoy gardening, I’d recommend saving money in other ways. One suggestion for saving on a garden – instead of paying for fertilizers and soil conditioners, I have a small worm farm that churns out worm casings – a great natural fertilizer. I’m going to grow more this year. I would love to have a year round garden inside my house. Is that possible? Another good source of information can sometimes be found at your local farmers market. Most places I’ve lived, there is a booth at the market with some outfit offering gardening advice (sometimes the local state extension some other group). Since (most) farmers markets don’t run year-round, this isn’t so helpful for early-season planning, but it can be really helpful half-way through the season when you are having a problem and need help. They can give good advice about disease & pest management or suggestions for different fertilizing or watering. Usually these volunteers are very experienced gardeners and know lots of tips for your locale. My wife and I spent $500 on supplies last year and made $3,000 at framers market, not to mention all the stored food we have right now. Definitely worth the time! *BECKY* – There is actually a Tomatoe Spotted Wilt Virus, and it makes the tomatoes look fungus infected, constantly thirsty and wilted. It causes their stems to be hollow, and they can’t absorb necessary nutrition. It can do the same to all nightshades, including eggplant. So, do not reuse the soil if your tomatoes have done this – the disease can survive in the soil, and also in the weeds/plants around your tomatoes. Pitch the soil and put in new composted soil. Also – buy heirloom tomatoes/seeds as these are disease resistant. Or, buy tomatoes/seeds that are specifically marked as disease resistant. Those types can be researched online. I grow tomatoes in large plastic pots, so that if one tomatoe gets sick, it doesn’t spread to all of the others. The tomatoes grow just as well in pots, trust me. So do eggplants. And here’s a note about water conservation that will reduce your related bill. Rain barrels! Keep them at your downspouts and catch all of that rainwater. They have spigots at the bottom that you can attach a hose to for irrigation. And, keep a gallon jug next to your kitchen sink. As you are waiting for that hot water, catch all of the cold water and use it to water your tomato pots. It really does save money. Does anybody out there have an Excel spreadsheet that they have devised to keep a record of their garden? The best gardening book I’ve ever found is How to Grow More Vegetables (and fruit, nuts, berries, grains, and other crops) Than You Ever Thought Possible On Less Land Than You Can Imagine by John Jeavons (crazy title, but its great…all about sustainable gardening using a biointensive technique) I get great results using a LOT less money on fertilizer, mulch etc than my neighbors. His other book, The Sustainable Vegetable Garden, is the same info, but for a less scientific audience. If you’re buying seeds, I recommend Pinetree Garden Seeds of New Gloucester, ME. They specialize in seed packets of reasonable size, especially if you’re starting tomatoes, etc. from seed, and reasonable price as opposed to the big companies (Burpees, etc.). They carry heirloom, some hybrids (900 seed varieties), books, and garden products. Kim Cornman asked for an excel spreadsheet to help with their garden. I’ve developed one this year which helps with scheduling all of the necessary tasks if you growing a large variety of plants. It keys off of your frost dates and projected plant dates. Then all of your tasks such as starting seeds, harvesting, mulching, watering are based on those dates. Your article was very encouraging. How was 2009? Any new tips for the upcoming season (2010)? I went online to see how to start a garden and was confused until I got to your site. I appreciate that you take the time to help those like me who have never done any gardening and are wanting to get started. Can a 47 year old woman start a garden not knowing anything? I hate to say I have dreamed of this but am just now in a place where it is possible…. wish me luck as I begin the reading, reading, reading process. Oh, and yes, I will start small! I don’t know where you live, but if you are a beginning gardener some of the best help will be found at your local county extension office. they often have tons of info on what will grow in your area, how to plant it, when to plant it, etc. and the people are passionate and just waiting to help you! I am an avid gardener, but just moved to a new climate and feel like I am starting all over again. Good luck, and happy gardening! I agree that starting early and buying high quality tools are 2 key ingredients to success. I adore my Japanese hand tool for digging out the buttercup and grass each spring. Lots of hard work, but great exercise — additional effort helps with rock climbing. :) Plus, I also share my extra produce with friends and coworkers. Delightful to give and a joy to see their faces upon receipt. This year, I finally got peas in during February. Hopefully, I’ll have a nice long crop of them this year. Keep up the great work blogging w/ photos. Much appreciated and it’s lovely to see others joining in on the fun! We have a vegetable garden every year, and I love it. So far this year we have planted potatoes, onions, lettuce, spinach, cauliflower, broccoli, and corn. Gardening is not hard, just takes a little research, sweat equity, and time. The rewards are so worth it. Seeds are usually good for 2 or 3 years if kept cool and dry, so you can use your own leftovers. You can also learn how to save your own seed from your favorite successes in the garden. I loved it. I wanted to say I agree!! Small can be fun large…not so much. My family works about 1 1/2 acre sized garden. We plant over 100lbs of potatoes ALONE! But its a great experience and family fun. I was reading earlier today and everyone wants a raised bed garden…the number one reason why….!!!!! TO KEEP THE KIDS CLEAN!!!! What ever happened to kids playing! I remember coming home covered from head to toe in something or another! Thanks on the story! 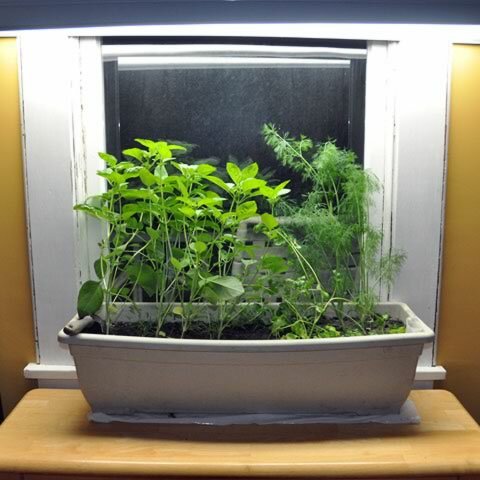 Do you have to use a light for window gardening of herbs in Jan thru May? Great article! Vegetable gardening has lately become just as popular as going to the grocery store for produce. Vegetable gardening can produce vegetables that are usually cheaper than store bought, and vegetables from a home vegetable garden definitely taste better by far. Vegetable gardening is no different than growing herbs or flowers and if the proper steps are taken and the plants are give the proper care they will flourish and produce very tasty vegetables. pIck a few, or at the most several, of the most crucial vegetables or fruits. Otherwise , its an expensive chore. These are some really great tips! We just recently moved into a new home with a great back yard that I want to put a huge garden in. And just in case anything were to happen its always nice to have your own supply of food. I want to invest in some agriculture supplies and get started as soon as winter is over. I think commitment should be the number 1 tip. Vegetable gardens need work throughout the season. There are some plants that require less attention, but from my experience it can be a lot of work to maintain a garden. At present, a lot of do-it-yourself enthusiasts and homeowners prefer wooden sheds instead of plastic or metal sheds. It might even be necessary to take everything out of your shed to see exactly what is in there. Using the level, check to make sure the foundation is level. I am actually starting a new garden in a couple months! Thanks for the tips. How do I organically keep the turtles form eating the low stuff, the turkeys from eating the middle stuff and the deer from finishing it all? My family are planning to start their own vegetable garden when we move to the countryside. Thank you for your tips! I liked the suggestion about the berry-related plants since they are so expensive to buy in store. I’ll definitely suggest those books to my father. I would definitely agree with starting small. As a student I don’t really get much time for a big garden so maybe if I start with few tomatoes in pots this will be a great start for my own backyard vegetable garden. Thanks you for the post. I have never planned for gardening in advance the tips laid out in this blog will surely help me with my very own back yard vegetable garden. I’m in my first year of our garden. Definitely not getting the payback that you experienced in this post, but I’ve definitely learned from my mistakes. I’ve also shared my experiences on my site. We will definitely try for more berries this year. No more radishes. Thanks for Sharing this blog! You have given great tips for starting a vegetable garden. 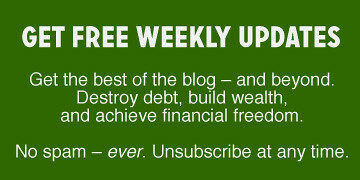 I Totally agree with you, One thing I want to add in this blog regarding the Picking a place. Almost all vegetables and most flowers need about six hours of full sun each day. Spend a day in your chosen spot and watch how the sun moves across the place. For those with small spaces (or small ambitions), a container garden is an excellent choice. Containers can also supplement a traditional garden, providing a handy pot of herbs just outside the kitchen door, an experimental area for kids to grow their own produce, and allowing tender plants to be moved according to the season. Really nice tips for the beginner.I learn many thing from here.Actually we can grow vegetables at our home easily and we can reduce our daily budget.Aquaponics is one of the best gardening systems where we can grow vegetables,fish and fruits. I think everybody should try this.